Game Tycoon 2 launches on to Steam Early Access and all other leading retailers of digitally downloaded PC games today, Friday 30 October 2015. Welcome back to the industry! Choose from one of three development studios and develop the video game hits of tomorrow for PC, console, handhelds, smartphones and other platforms. As an indie game developer, you find yourself mixing it with the big boys. To survive, as an indie in this cutthroat business, you will need to be creative and nimble. Spot the niche, back your hunches and go for it! Will you become a Game Tycoon? The Game Creators today released App Game Kit Version 2.0.15. This significant key release adds many new features including animated 3D features, Bullet physics support and Assimp 3D model format importing. Developers can now take their app ideas into the third dimension and have projects up and running in record time. AppGameKit is available for both Windows, Mac and Linux platforms and apps can be deployed cross platform including iOS, Android, Windows, Blackberry, Mac and Linux. The pay once, royalty free price also drops down to an even more affordable $79! Alongside this release are four new DLCs that complement the core AppGameKit product. There are two detailed user guides that are designed and written to take any novice coder and turn them into an expert game developer in easy-to-follow steps. Witten by educationalist Alistair Stewart, the Guides are available in two versions; the Official AppGameKit Beginners Guide ($29.99) for novice users, and the Official AppGameKit User Guide ($39.99) covering many more programming subjects. To aid developers two Giant Asset Packs are also being launched today. They are packed to the rafters with thousands of sprites, backdrops and sample demo projects. Users can incorporate any of the assets into their projects for just $19.99 each. The Game Creators developed Driving Test Success Theory, Hazard Perception and Highway Code apps for UK publisher Focus Multimedia, deploying them onto the App Store, Google Play, Amazon, Mac Store and Blackberry World – all from AGKs executable code. These Driving Test Success apps are now the UK’s #1 ‘Learning to Drive’ apps. Today, Games On Song, the UK games industry choir is proud to announce it will be returning to the stage for a LIVE Christmas carol concert, raising money for GamesAid. Formed in 2012, the Games On Song choir is made up members of the games industry who volunteer their time and voices to sing and raise money for GamesAid; a UK based video games charity which acts as an umbrella to support a number of smaller charities who help disadvantaged and disabled children and young people. Featuring classic carols and Christmas songs with a video game twist, this year’s concert will be the biggest yet. TICKETS ARE ON SALE NOW >> https://www.goldengiving.com/event/Games-on-Song-Concert priced £20 each (£10 for children under 10yrs). Samsung and CCP Games will be giving all VRTGO attendees the opportunity to get hands-on with the best that VR has to offer. VRTGO, the annual conference and expo that explores the future of virtual reality (VR) for both entertainment and business applications, today reveals that Samsung will have full retail units of its impending Gear VR headset available for all attendees to try as the event kicks off on Thursday 12th November at the Newcastle Gateshead BALTIC Centre for Contemporary Art, Gateshead. Samsung’s Gear VR headset is released in November, and VRTGO is the ideal opportunity to be one of the first in the country to try out the brand new VR technology that Samsung will be releasing to the wider public. Samsung will also be joined by CCP Games, who will be showcasing EVE:Valkyrie and inviting attendees to experience a playable version of the hit 2015 trailer. 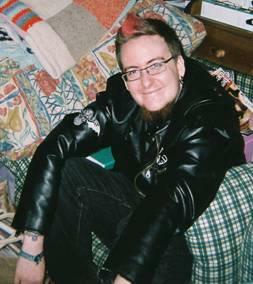 VRTGO will be hosted by respected technology journalist Will Freeman. The conference gives all attendees the opportunity to experience the newest developments in the world of VR, complete with keynotes and panel discussions. Leading interactive entertainment media publisher and developer BANDAI NAMCO Entertainment America Inc. today announces TEKKEN 7 for home systems. With the TEKKEN franchise celebrating its 20th anniversary; the newest chapter of the series returns to its gameplay roots with classic 1 vs 1 bouts and its canon storyline centered on the eternal struggle for power amongst the members of the Mishima clan. With newcomer Kazumi Mishima joining the fight, the epic battle between father and son, and also husband and wife, will come to its fated conclusion in TEKKEN 7. 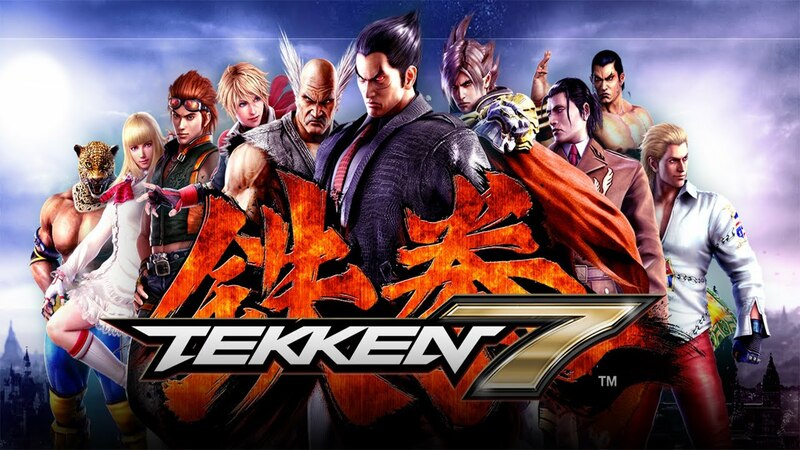 TEKKEN 7 is currently in development at BANDAI NAMCO Entertainment Inc.’s Tokyo, Japan studio under the leadership of franchise director, Katsuhiro Harada. Powered by Unreal Engine 4, TEKKEN 7 sets a new standard in graphics quality for the series, featuring highly detailed characters and dynamic environments. In its first appearance on home systems, TEKKEN 7 will feature numerous modes and enhancements beyond its arcade counterpart, including an in-depth story mode that lets players fully experience the canon storyline. Players will also be able to check out new fighters Kazumi Mishima, Claudio, Josie, Shaheen, Katarina, Lucky Chloe, Gigas, and more for the first time outside of the arcade. “The TEKKEN series is not only a cornerstone series in BANDAI NAMCO Entertainment Inc.’s illustrious line-up of game franchises; it has also been a foundational game in the fighting game tournament community for over two decades.” said Eric Hartness, Vice President of Marketing at BANDAI NAMCO Entertainment America Inc.
3D graphics startup Uraniom has unveiled their new platform that turns raw 3D scans into playable video game avatars, giving life to the longstanding dream of millions of gamers. Creating a 3D scan was once a complex and expensive operation. Today, the technology is widely available thanks to solutions such as the Occipital Structure Sensor, which already works with many mobile devices, the Intel® RealSense™ R200 which is about to be found in various flagship tablets, and lastly, in the future for regular smartphones with an app-based scanning approach by Dacuda. Uraniom is partnering with these leading 3D scanning companies to create playable life-like avatars. When the founding team of Uraniom began working on this project almost one year ago, the technical challenges seemed impossible to tackle. After months of prototyping and hundreds of scans tested on various games, the Uraniom team is excited to release their technology to the public. Through the Uraniom platform, users now have the ability to add a 3D scan, create an avatar and integrate it into one of the compatible games. The new character will work with all of the game’s native animations and moves. The overwhelmingly positive feedback and excitement shown by testers of the early prototype have been highly encouraging for the Uraniom team. As it turns out, playing with a photorealistic digital copy of oneself in game allows for an unprecedented level of immersion. Friends Josh and Will have created SVS games and released their first game. They are now looking to recruit team members to work on the next seven titles they have planned. Josh is currently studying Train2Game which has helped their collaboration. Both plan to use the studio to work together but also have individual aspirations in the games industry. They are interested in the creative side of gaming and love to come up with ideas. Since releasing their first game, Marathon, both are really excited with what they created and what more they can do. They sort industry advice in creating Marathon and it was received well. The studio was created in 2015 but the pair have collaborated for some time. Both live in West Yorkshire. The guys are now on the lookout for artists to join the team as they have a growing list of games planned for the future. They are on the lookout for people who are: productive, passionate and have personality. Please introduce yourselves, what course you are on and where you are from? Josh: Hi. My name is Josh Procter. I’m from Bradford, West Yorkshire. I’m just on the back end of the T2G Designer course. What is the name of your studio and who are the members? Will: Myself and Josh came together in early 2015 to form SVS Games. Josh: Yeah. Me and Will have been working together for a while but officially SVS Games was created early 2015. What was the idea behind the name of the studio? Josh: SVS means Samurai vs Spartan. Because Will is totally into Murmillo fighting and I am a born Samurai with my years of sword training. Will: Well it’s our aim to make the kinds of games that we both loved as kids. SVS Games is a way we can showcase our game development skills to attract potential employers, whilst still trying to make our mark on the Indie game world. Are you enjoying Train2Game and are your studies going well? Josh: I’ll field this. I’m loving the T2G course, but I’m a very busy guy. The only reason I haven’t finished yet! What do you hope to gain from taking the course? Josh: Well, I personally want to write the games myself. And this has given me the skills to write better and create them. Which teams me and Will perfectly. What is your dream in terms of working in the games industry? Will: Well I have lots of ideas for pretty huge games. So ideally I’d want to be in a position where I can bring those ideas to life, a creative direction position seems the best position to do that. Josh: I just really want to be the writing force behind those games. I’m an ideas man. I drift off and let myself come up with new ideas. So what has it been like completing your first game? Will: It has been fantastic, We have been working together to make some really involved design work for potential future games, I received some advice from a local Indie Developer to just release something small to get our names out there. Once it was out there and we got over the shock that something we had worked on was out there for everyone, the ball really started to roll and we’re well on the way to our next release. Big stuff man. Big stuff. Can you tell us about Marathon, what were the challenges in creating this game? Will: I think my biggest issue was keeping it small. Josh and I have this terrible problem where we keep trying to add too much to something and make more work for ourselves. Josh: Me and Will cannot help adding more. We sat there with a product we were happy with and then went. LET’S DO MORE! Will: Actually pretty well considering it was just a quiet release by two guys who hadn’t really done anything before. I keep checking it and we have a nice steady stream of viewers and downloads. We are yet to have a negative comment, so I count that as a win. Josh: It’s going nice actually. Neither of us was expecting to make the next big thing. But we wanted to get our names out there and this game is a really nice little start. Why did you choose to release on Windows? Will: Honestly because it would be the quickest turnover from development to release. We’re currently looking at releasing on other platforms, including android via Google Play. And what are you working on next, I hear you have another title in the pipeline? Will: I like to stay busy and yeah, Josh and I are always working on something. I think the current count is at 6 or 7 games planned for the future or in development at the moment. Josh: When we started, we had one MASSIVE game in the pipeline, with completed design documents and pitch documents. But we realized it’s far too big a project to start with. We came up with 3 small games to start with, which turned to 4 and so on. I think the count is 7 at the moment. But last night me and Will discussed another one. And you are on the hunt for developers to join the team and assist with the project, artists and animators? Will: Most definitely, Artists and Animators are always in demand in the games industry and we’re no different. Josh: In the future, yeah I’d love to take on some new people! But I think we’re just starting out and maybe another one or two people to work with. They’d have to be into swords. What are you looking for in new team members? What character traits? Will: Someone who works hard, likes to swap and share ideas and someone who is above all else, passionate about gaming. Josh: I think after years of work. I cannot stand people who half-arse jobs. I really don’t want to sound like a grumpy boss but people have to pull their weight. I just finished moving and lost my entire internet but I still did everything I could to push our projects forward. Aside from that, they’d need a great personality and to have a laugh. Is joining the studio a good opportunity, and why? Will: I would definitely say so. Opportunities to work with other game developers is beneficial for everyone involved, we all share the work load and each get an equal share of the credit. Most employers look for people who have game development experience. The best way by far to do that is to release some games. Josh: Exactly. I’d love to have some other people working with us. It’s always a good idea to make your own things. Think how indie developers get massive. It’s all about content and quality. You put your heart into a game and it might end up being the next big thing. I think for myself and Will, it’s not about getting famous or super rich, it’s about creating the games that people will lose themselves in. I can’t get over massive moments in games that I go back to thinking about years later. I still have the DmC3 cut scenes on my phone that I watch monthly. What are the plans for the studio? Will: We are both going to continue to working on games together until we catch the eye of an employer or we start making enough money to make a career of making games for SVS Games full time. Josh: Keep releasing content. Keep having fun. Adways Interactive (Head Office: San Francisco, CEO: Ken Asakura) today announced the full launch of PreLaunch.me. Adways Interactive are releasing the Android app out of Beta with new features and debuting the PreLaunch.me web app for iOS and Android, available for publishers and gamers in the US, Canada, Australia and UK. 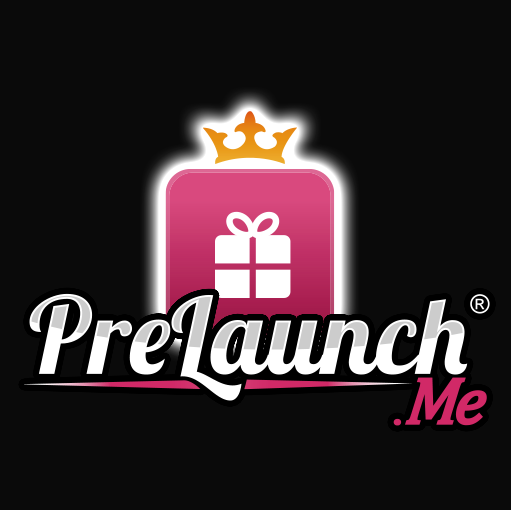 PreLaunch.me is a new pre-registration platform for game developers to enhance pre-launch exposure by building and engaging a targeted audience of gamers with new assets, closed beta testing periods, robust social tools, and participation rewards. PreLaunch.me also provides the industry’s first built-in A/B testing combined with pre-registration services, including a full-service user data analytics suite. Developers that have used PreLaunch.me have seen significant post-launch results with one week ARPUs hitting $1.50 and one week retention rates performing 270 percent higher than non-PreLaunch.me users. Gamers can use PreLaunch.me to research a curated roster of featured games they want to closely follow from announcement through launch. After pre-registering, players can receive in-game gifts, participate in closed beta programs, build a social network through a player-driven guild system and receive immediate notification once their game is live. Soft-launched in 2015, PreLaunch.me is the Western iteration of Yoyaku Top 10, the world’s first pre-registration platform for game developers to build an audience and engage a community before launch. This platform quickly gained widespread success and evolved into an essential ingredient for mobile game marketing. With more than one million users reached and more than one million pre-registrations per month, Yoyaku Top 10 provides a contemporary preview of PreLaunch.me’s potential success. To download PreLaunch.me to your Android device, visit Google Play, while iOS users may visit www.PreLaunch.me via the Safari web browser. Starting today, Xbox One gamers can now enjoy competitive head-to-head gameplay with the new WorldGaming Xbox One app. The new app will allow users to experience the world of head-to-head cash challenges, including all WorldGaming supported Xbox One titles. With the Xbox One game experience in mind, the WorldGaming Xbox One app was developed from the ground up to offer simple registration, head-to-head challenges, live daily video updates, contests and cash prizing. Gamers interested in a new level of competition will find unique gaming strategies, the live WorldGaming StreamTeam, and live eSports events. Through the Xbox One app, gamers across the U.S. can play all Xbox One games that are currently supported by WorldGaming. Registration is easy and users can link their Xbox Live account with their new WorldGaming account through the app. It’s all the games you love, all in one app, across your favorite Xbox One games. WorldGaming Chief Executive Officer, Rob Segal, is eager to bring competitive gaming closer, and more natively, to the Xbox Live community with the WorldGaming Xbox One app. The launch of the new Xbox One app is just the next step in WorldGaming’s plan to develop professional and casual gaming communities around the world. The new app is free to download and play, through Xbox Live, allowing for head-to-head challenges, news, updates, and much more. 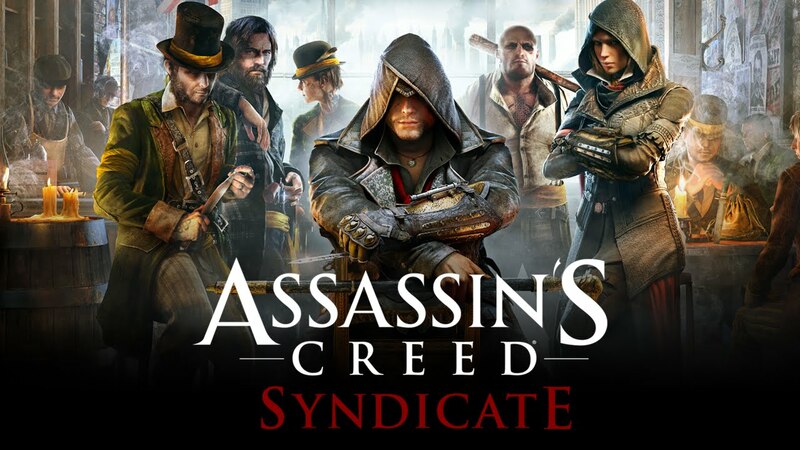 Assassin’s Creed Syndicate has managed to knock the power house that is FIFA 16 off the top spot. Guitar Hero Live rocked its way to number three and The Legend of Zelda: Triforce Heroes couldn’t quite breach the top ten landing at number eleven.